At times, it turns out difficult to remember the names of all the materials required for a particular purpose. It may be for an individual project, construction work, housekeeping purposes and any other works. 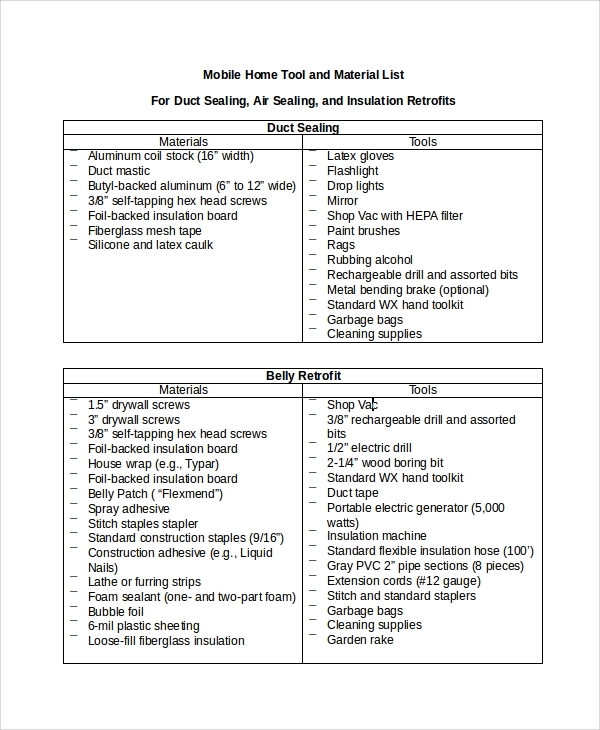 It is important to keep a material list that keeps track of all the required materials. You can check out the Material List Samples from the website. A Project List template can be of various categories and here are the samples of the commonly used ones. This list contains the names of construction materials for buildings and other structures. 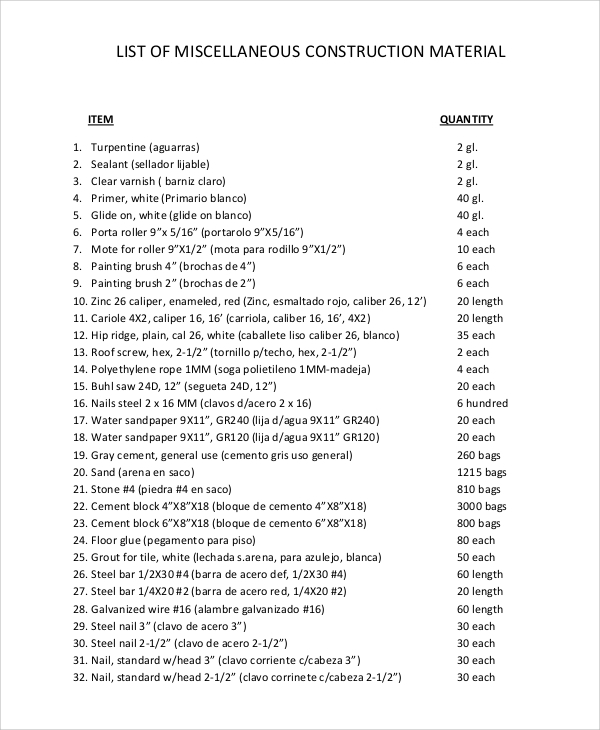 The names of the materials are listed on one side, and the corresponding quantity on the other. Project material lists are required for engineering students and professionals. A short description of every category is presented at the top. 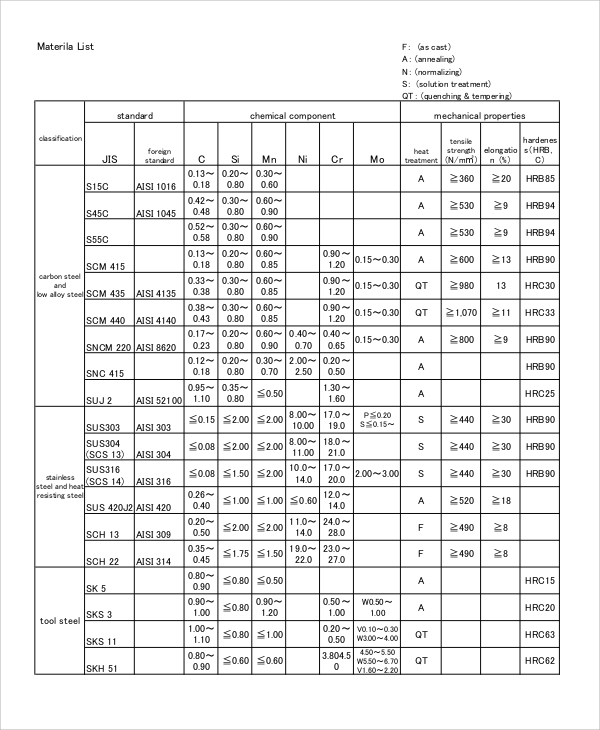 Then the chart presents all the materials with the respective quantity and source. These are used for construction and other purposes. Here, each type of packages like roofing, walls and other parts of a building are listed up. The names of building materials are listed below these heads. Why Are Material Lists important? Material lists ease up the process of planning a project. It simplifies the complicated process of remembering the names of all the materials. 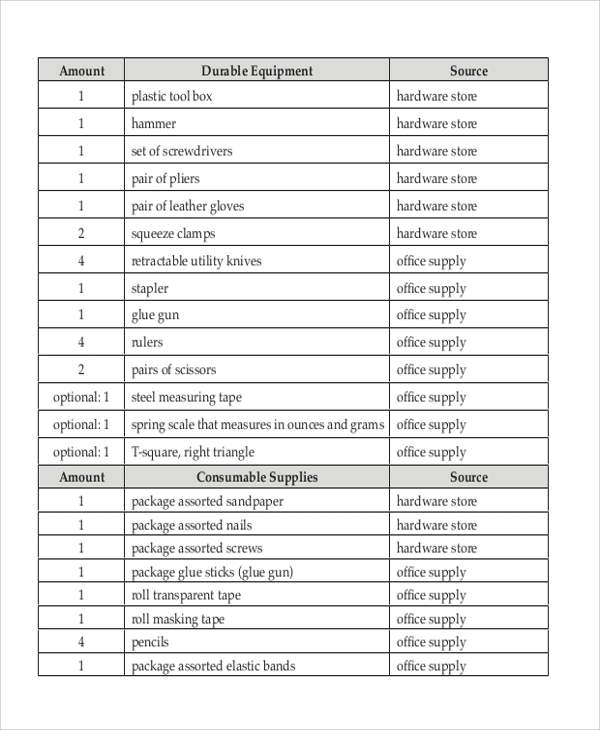 There are standard packages of materials that need to be purchased from the market and the bill of materials template help to remember all the names. Apart from this, these also contribute to calculating the amount of money needed to purchase the materials. Before the project is implemented, one can ensure that all the required materials are at the disposal. You may also see the Vendor List Sample. 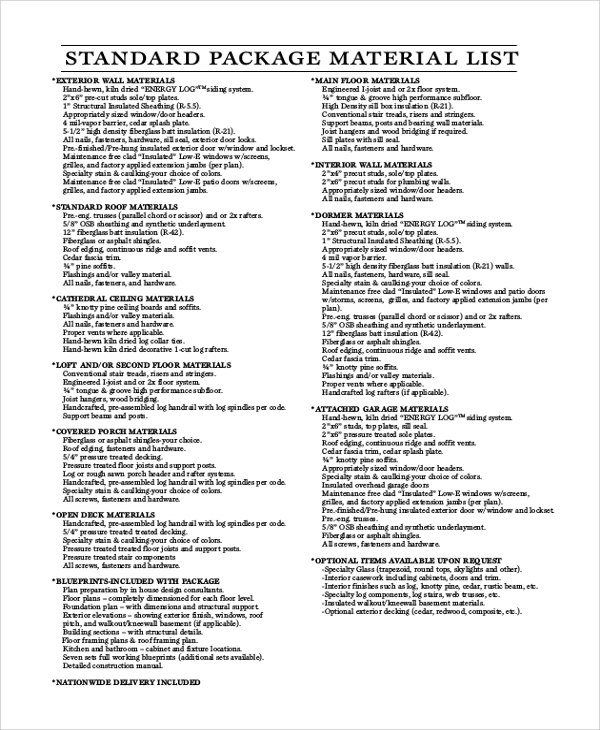 This list contains the names of various materials required for housekeeping. It also contains the number of materials, quantity and the total price required to purchase these materials from the sources. For installation of various internal settings like duct ceilings of the houses, material lists have to be prepared. Each of the kits has the names of particular materials listed below the subheads. You may also see the Price List Sample. 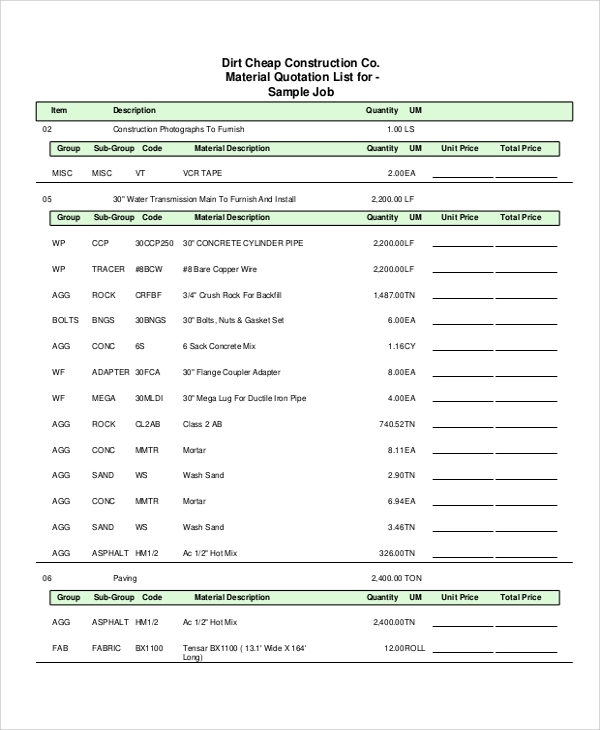 What Information Does a Typical Material List Contain? 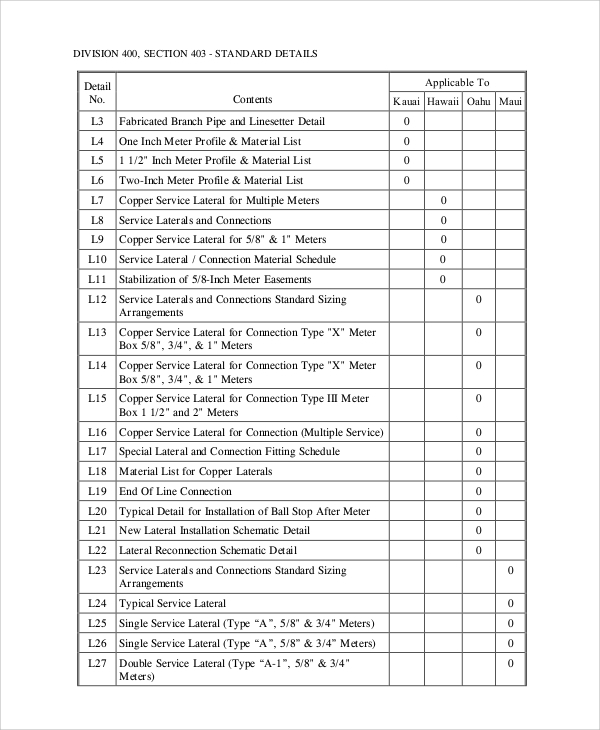 A standard material schedule template includes all the details of the materials that are needed for any project or construction. These include the units of materials required too, as it is convenient to purchase the entire stock that will be needed to complete the work. Apart from the quantities of material required to cater to the needs, the sources are also mentioned in some of the lists. It helps to implement the plan in minimum time without searching for them unnecessarily. One can also know about the total cost of the materials from here. Who Needs a Material List? A material list is commonly used by the planners and the people who practically implement the projects. Well, these can include the head of the planning department, promoters, engineers and other people associated with the project. In a nutshell, the Inventory List Template is of immense use to all the people related to the task. Even the clients require these documents to get an idea of the total cost that will be incurred in the process. It is a requirement for any work that requires different materials, be it for construction, cleaning or other purposes. 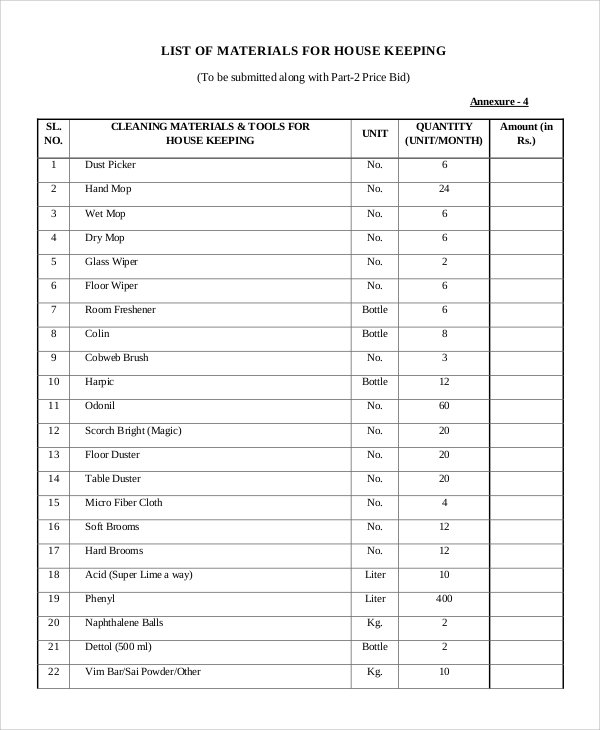 Evidently, a material list is of immense importance to the people associated with implementing the task. They need to get the right list in time so that they can plan the financial requirements and availability of the materials. You can browse the website for Supply List template also and customize the ones you need.